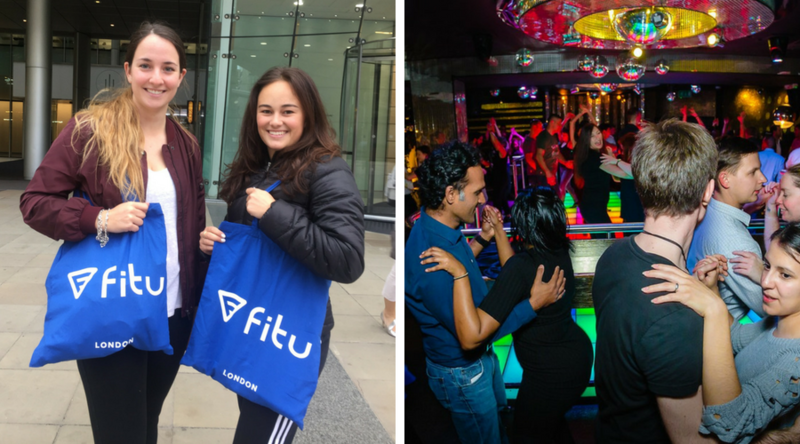 I used Fitu App to book a Salsa class for the first time. Here's how it went and a few tips for your first class! I wanted to see how this hot and spicy dance inspires Latin rhythms in everyone. The class started with a short warm-up. Everyone was spread across the room and copied the instructor. The steps felt very quick and complicated… Let’s just say the warm-up got me a bit worried. We then got split into two groups: beginners and intermediaries. I got lucky and was patterned up with someone whom had been there a few times, making the first couple-dance easier. It’s scary at first but I eased into it quickly. We practised the first basic steps and then the instructor added to the routine. For each new couple of steps explained, we got to learn and practice with a different partner. This made the class more interesting as each man had a different level and each had their own style. Toward the end of the class, I knew the steps by heart and was able to relax and have fun with it. I think that counting in my head and listening to the music made it easier. When I first saw the instructors dancing together, I thought “Oh yeah, easy enough”. Oh no! The trainers make it look so effortless, but don’t be fooled! Salsa is challenging and demands concentration. Nevertheless, once you get the hang of it, it’s fun and exciting. Ladies, don’t worry about the high heel shoes. Just wear your normal trainers, you’ll be a lot more comfortable. It also hurts less when you step on your partner’s foot. But if you are up for a challenge, wear the heels! Up to you, but something comfortable! I wore leggings and a t-shirt, but if you want to wear a nice dress or shirt, go for it! I didn’t think I would need it, but it gets pretty hot in the room. You’re also moving constantly, so drink up! Don’t worry about going by yourself because you are going to dance with everyone. All the ladies rotated and had the opportunity to dance with every man. It is also a great way to meet new people! Don’t think about your feet too much and listen to the music. Most of all, smile and have fun! Drop your email here to get early access to our Android version once it's released! Thank you for your interest in Fitu for Android! We have received your contact email to keep you updated.